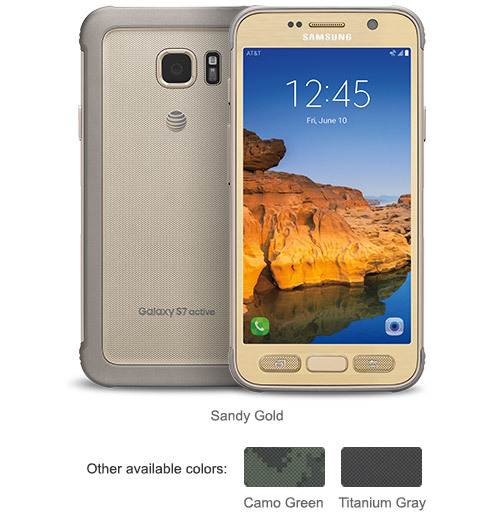 Samsung and AT&T has unveiled there carrier-exclusive Galaxy S7 active just like Galaxy S6 Active of previous year. The rugged version and robust shell makes a great combination, which if based on the previous year's Galaxy S6 Active can withstand some of the harsh conditions. Let's move on to the interesting part pf the device, Specifications pf Galaxy S7 Active. The Galaxy S7 Active sports a 5.1-inch QHD shatter-resistant display with added layer of polycarbonate as reported by GSMArena.com . The device is powered by Snapdragon 820 chipset, with internal storage of 32GB coupled with 4GB of RAM and expandable memory. The device also sports 4,000mAh battery. This time Samsung has also added Fingerprint sensor in the home button. The AT&T will launch the Galaxy S7 Active sales on June 10 with monthly prices similar to the Galaxy S7 Edge's.